Soul and Vibe Interactive Inc.
As the sun sets over Merryweather Farm, Johnny Tractor and Allie Gator search for their good friend, Corey Combine. Its bedtime! Where can he be? As they search, Johnny and Allie interact with, and wish ‘goodnight’ to, all their animal friends across Merryweather Farm. 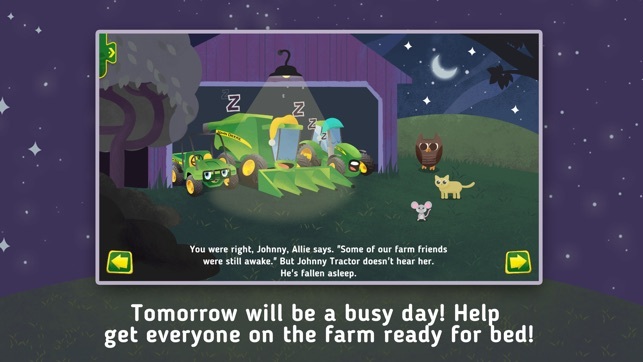 Goodnight, Johnny Tractor is an endearing bedtime-themed interactive storybook. As is the case with all Johnny Tractor and Friends stories, Goodnight, Johnny Tractor conveys the importance of teamwork and friendship. A fully narrated storybook, young readers can read along with the narrator, or independently. The independent reading mode is designed to instill reading confidence. 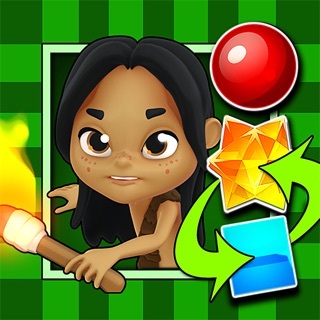 Each page comes to life via your fingertips through a wide variety of interactive content and activities! A unique Camera mode enables readers to create bedtime-themed greeting cards for family and friends! 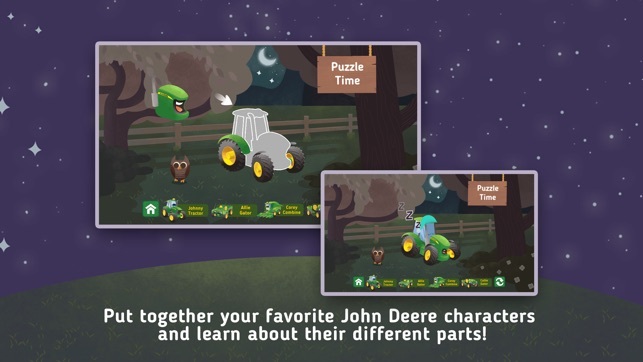 The robust Puzzle Time mode teaches readers about tractors, combines, and utility vehicles! Goodnight, Johnny Tractor celebrates bedtime and is a perfect and appropriate storybook for preschoolers. 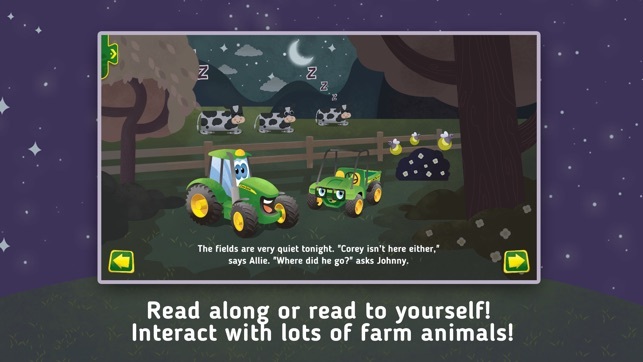 This storybook app is designed to help instill reading confidence in early readers, promotes the values of teamwork and friendship, helps increase reading comprehension, demonstrates the sounds made by farm animals, and introduces the concept of cause and effect relationships. -	Interact with Johnny Tractor, Corey Combine, and Allie Gator, fun characters based on real-world John Deere machines! 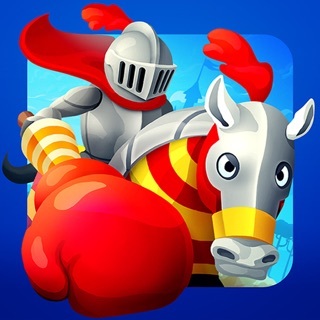 -	Interact with lots of fun farm animals like cows, pigs, horses, chickens, sheep, and many more! -	Select the ‘READ TO ME’ mode for a fully narrated, read-along experience. -	Select the ‘READ IT MYSELF’ mode to help your young reader build reading confidence. 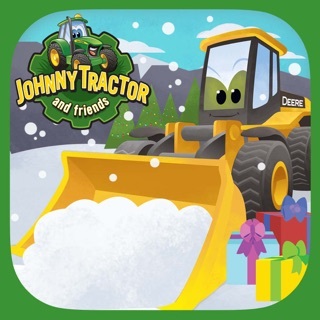 -	Tap on Johnny Tractor and his friends to progress the story; there’s interactive JOHN DEERE action and voices on each page! 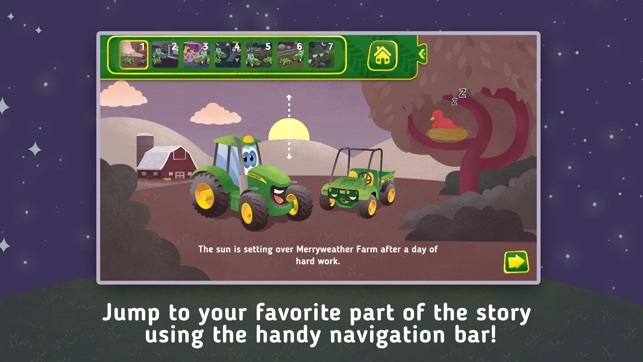 -	Merriweather Farm comes to life as you tap and explore each page! 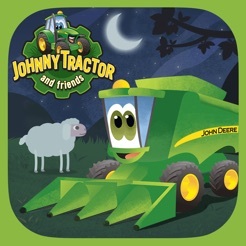 -	Can you help Johnny Tractor and Allie Gator find all the nocturnal animals that live on and around Merryweather Farm? 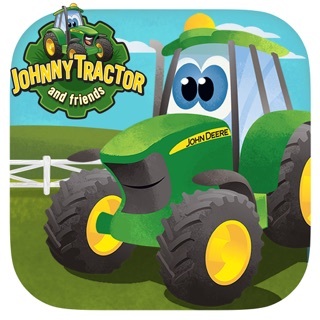 -	Tap on Johnny Tractor and his friends to learn about tractors, combines, and more! 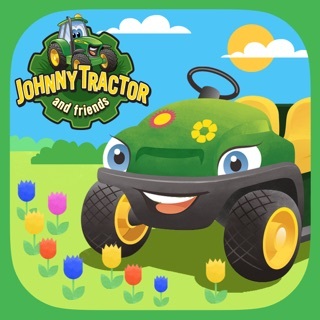 -	Build Johnny Tractor and his friends in the exciting PUZZLE MODE! -	Create your own bedtime-themed greeting cards with the fun CAMERA MODE and share them with your family and friends! -	Early and emergent literacy. -	Learn the sounds made by farm animals. -	Helps increase reading comprehension. -	Understand cause and effect relationships. -	The value of friendship. -	The value of teamwork. 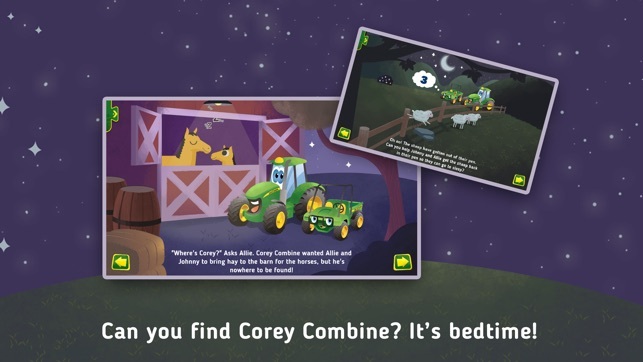 Goodnight, Johnny Tractor is the fourth interactive storybook and John Deere licensed-brand product to be published by Soul and Vibe under its Soul and Vibe Books label. Also check out Johnny Tractor and Friends: County Fair, Johnny Tractor and Friends: Snow Day, and Johnny Tractor and Friends: Growing Season! This update is signed with Apple’s latest signing certificate. No new features are included. Both of my young boys (ages 3 and 6) love this story book! The puzzles are an added bonus. I definitely recommend this for parents with younger children. © 2016 Soul and Vibe Interactive Inc.